Have an eye for the next big viral video? Love editing online videos that people can't resist watching? If you have what it takes to film, direct and edit online videos that can tell a compelling story, we want YOU. We’re looking for experienced videographers to join our team. Want to hone your skills in videography while enjoying great food? 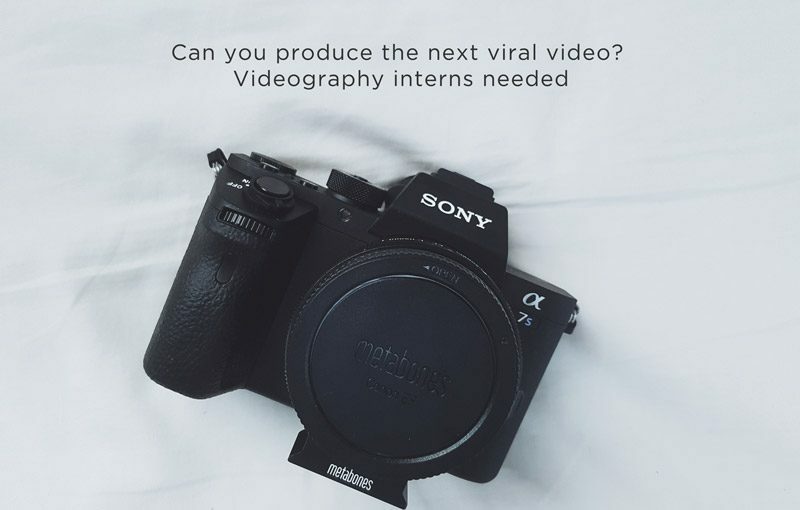 Join our Videography Internship program! We’re partnered with one of the biggest media producers in Singapore: Big3 Media, and there’s so much you can learn while having fun filming what you love. Intern applicants need to have basic camera technical knowledge as well as video editing software knowledge. If you want to learn about making successful, widely-watched videos on social media then this is for you. Internship periods will range from 4-6 months, with a monthly allowance of S$600 – S$800 as well as a load of good food to eat. Singapore Tertiary and Polytechnic students are very much welcome, but if you already have some basic knowledge tinkering with video on your own, by all means apply too.